Are you a busy professional wanting to look better, feel better, move better, eat better, improve your health, lose body fat, and/or experience body re-composition within the context of your real and crazy life, but feel like you don't have the time or just don't know where to start? Are you ready to toss the unsustainable diets and brutal boot camp workouts forever? If so, you should consider joining our Lifestyle Transformation Program powered by Precision Nutrition's ProCoach Software! WANT TO LEARN EVEN MORE? EMAIL NOW TO SET UP A FREE CONSULTATION! ​Ready to transform your life and become your optimal self within the context of your real and crazy life?! The time is NOW! On Monday, January 14th, 2019 we're opening registration for our next Lifestyle Transformation Program powered by Precision Nutrition's ProCoach Software - only 20 spots will be up for grabs! 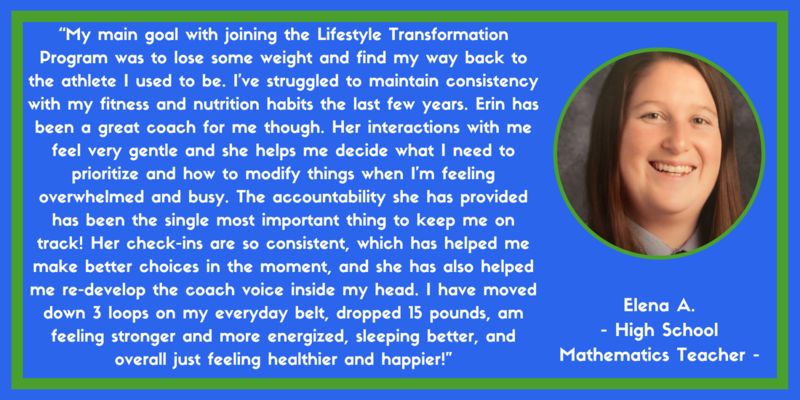 We offer THREE different packages for our Lifestyle Transformation Program so that we can ensure you get the proper support and guidance to achieve your health and fitness goals! * All onsite sessions will have a travel fee associated with each session dependent on distance traveled. Please inquire about details. 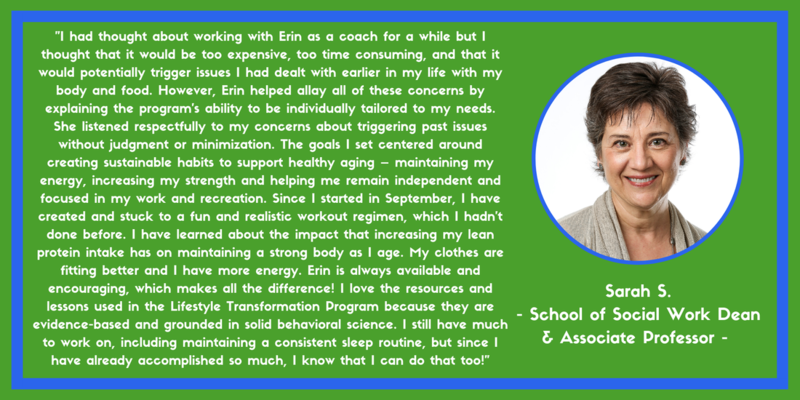 To learn more, and to discuss which Lifestyle Transformation Program package will best suit your desired health and fitness goals, fill out our short online application now to set up a free video call consultation! Find the package that's right for you! Click Here to Set Up Your Free Video Call Consultation! - Get active, no matter what shape you are in. - Build fitness into your life, without it taking over. - Eat better, without dieting or feeling deprived. - Ditch the food rules, dropping the fad diets and conflicting advice. - Practice regeneration strategies that fit into your lifestyle, resting and recovering for optimal daily performance. - Become a mental ninja, building resilience and re-framing challenging situations into growth opportunities. - Achieve, and maintain, your goals, even when life gets busy! - Lose the weight/fat you haven’t been able to shed for years. - Build physical strength and confidence in your body. - Gain mental confidence, no longer hiding your gifts and talents. - Let go of food confusion, learn what to do, and how to do it. - Get off diet roller-coasters, once and for all, never look back. ... feel physically and mentally strong, capable of taking on any challenge without worrying that your energy levels or body weight will get in the way. ... can run around with your kids, or grand-kids, without feeling pain, winded, or tired; and you can do it again the next day. ... excitedly book a beach vacation without wondering how you’ll look (or feel) in a swimsuit, walking along the beach. Start Living This Way Today! Click Here To Set Up A Free Video Call Consultation! Want to know how the program works? Then watch this short video. It details exactly what you can expect from Vitality Central's Lifestyle Transformation Program for Men, powered by Precision Nutrition's ProCoach Software. 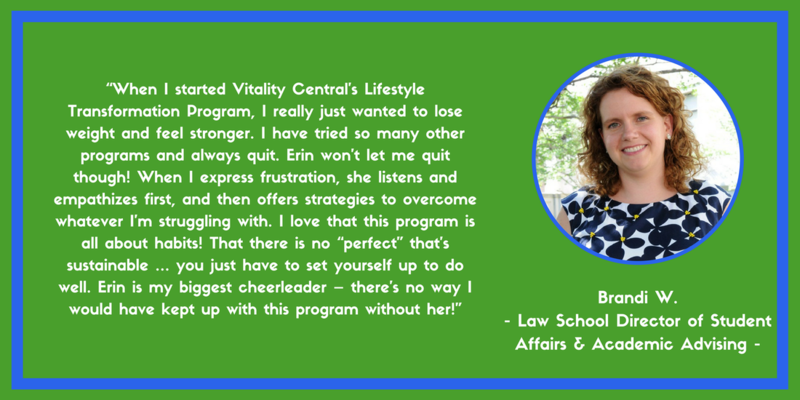 And this one details what you can expect from Vitality Central's Lifestyle Transformation Program for Women, powered by Precision Nutrition's ProCoach Software. We know that things get crazy with work, children, aging parents, running a household, and all the surprises life can throw at us. It never stops being complicated or busy. That's why we've chosen to partner with Precision Nutrition and do something very different than the rest of the fitness industry. We show you how to make health and fitness a part of your life, no matter what else is going on. We believe that your program should be designed for your absolute worst days — not just your best days. You know the days I’m talking about… you’re feeling low energy, nothing goes your way at school or work, your partner (or children) aren’t pleased when you get home, and you have a million other things to do than spend 2 hours working out and cooking organic meals. Normal fitness plans tell you to just tough it out. You’ve gotta want it badly enough. If you’re aren’t willing to put in the work you don’t deserve the results. That’s just silly, and it’s not reality. Which is why we work closely with our clients to help them move their bodies well AND often, nourish their bodies well, implement feasible regeneration strategies, and keep a positive, growth mentality, no matter what’s going on in their lives. We’ll bring the accountability and guidance it takes for you to stay consistent. We’ll review your progress, answer questions, and make adjustments / recommendations to help you improve. We’ll tap you on the shoulder if you start to regress. And we’ll help you get past each hurdle along the way. The result? You’ll get into the best shape of your life within 52-weeks. And you’ll have the habits, skills, and tools to stay that way. It doesn't have to take a lot of effort to get great results! It just takes consistent small action steps each and every day. This approach has worked for thousands of clients! This “real life” approach is one of the main reasons our clients achieve — and sustain — jaw-dropping transformations. 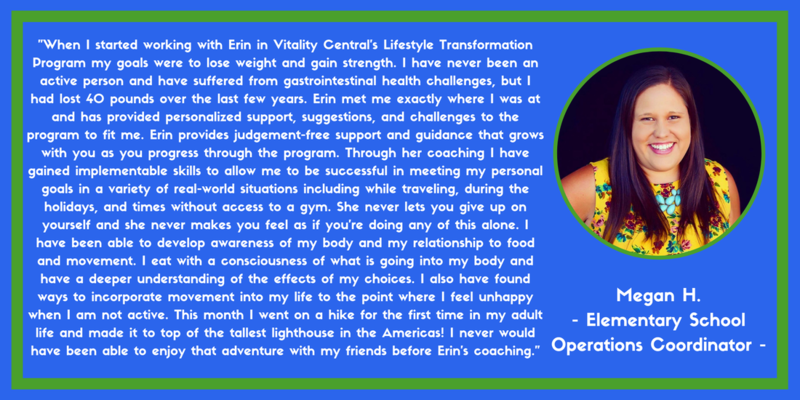 If Vitality Central's Lifestyle Transformation Program is right for you, it can be life-changing. But because of high demand and limited spaces (20/cohort and 40/year), the program usually sells out within days. So, if you’re interested in registering — or even if you’re just interested in learning more — your best bet is to FILL OUT OUR SHORT ONLINE APPLICATION RIGHT NOW so we can have a short, free video call consultation. Once you apply, we'll get you on the pre-sale list so you have first dibs when registration opens on September 10th! Don't Wait! Click Here To Get On The Pre-Sale List! We know what works. We have a proven system in place. And we consistently produce life-changing results for our clients, year in and year out. This is your chance! Don't miss out! To give everyone the personal care and attention they deserve, we only open our doors and accept new clients TWO times a year now! So if you’re ready to change your body, and your life, with help from a world-class coach, this is your chance! Change your life today! Apply Now!